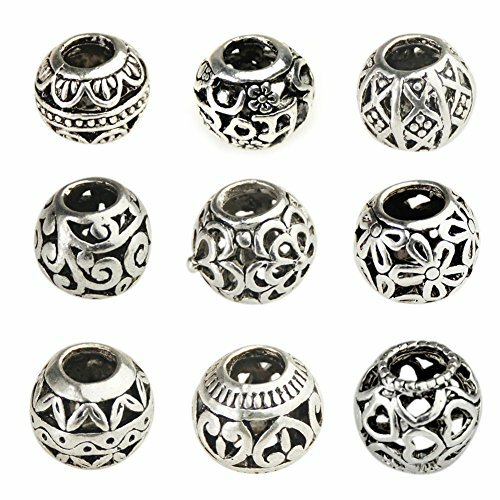 Silver Plated Large Ornate Filigree Bead Caps 11mm (20)Category: Silver Filigree BeadVintage style silver plated brass bead caps with an openwork filigree design. 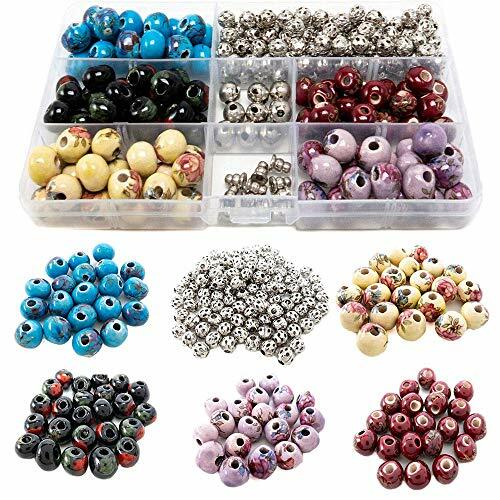 Dress up round beads with these ornate bead caps. Measurements: 11mm outer diameter, 10mm inner diameter, 5mm long, 2mm hole. Quantity: 20 bead caps. 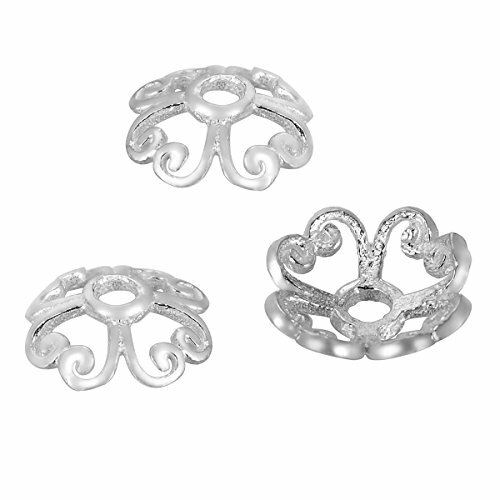 Antiqued Silver Plated Filigree Spiral Bead Caps 8mm (4)Category: Silver Filigree BeadSilver with an antiqued finish over brass. Bead caps are so versatile! They are perfect for enhancing round beads in any project. These bead caps feature a spiral filigree design. Can be very gently pried open to accommodate a slightly larger bead. Measurements: Approximately 8mm Diameter, 1mm Hole. 5mm Depth. Quantity: 4 bead caps. 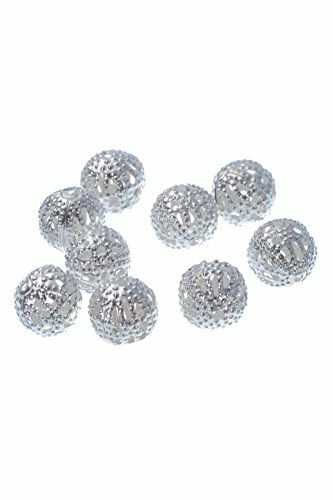 7x12mm Silver Frosted Metal Oval Bead Filigree Bead (50 Piece)Category: Silver Filigree BeadLoose Silver Frosted Metal Bead Ball Charm Set. Will Make Your Next Design Project Stand Out! 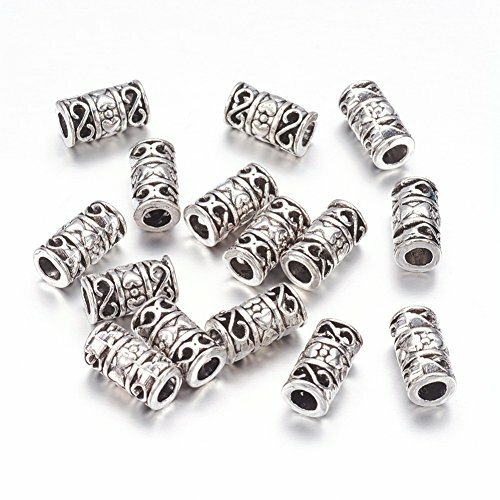 ;7x12mm Metal Filigree Beads. 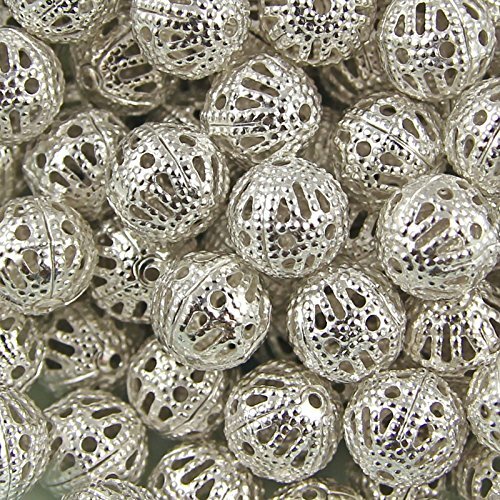 ;Silver Toned Metal Puffed Oval Shaped Beads. ;Already Designed & Ready To Be Finished Into a Necklace, Bracelet, Ankle Bracelet, or Anything Sort Of Fashion Accessory!. 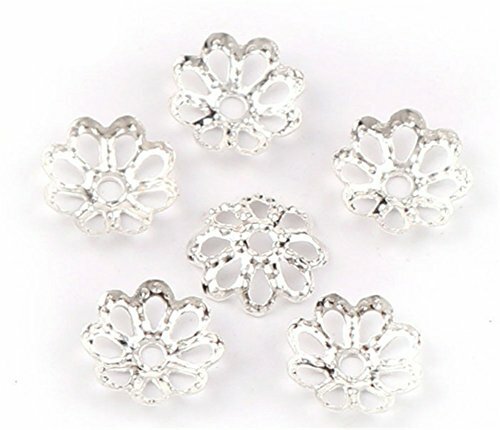 ;Bead Dimensions Measure Approximately: 1/4 Inch (7mm) Wide x 1/2 Inch (12mm) Long. ;Approximate Bead Count per Strand: 50.;This Bead Strand Has Been Uniquely Designed For You To Finish & Make It Your Own. ;Made of Silver-Toned Base Metal. 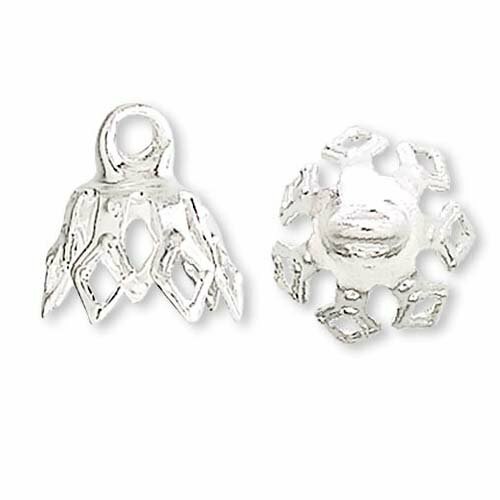 Antiqued Silver Plated Square Filigree Bead Caps 5mm (6)Category: Silver Filigree BeadThis nickel and lead-free item is made of a lovely antique style brass. Versatile beadcaps to enhance your beads. Ornate, finely detailed.Quantity: 6 beadcaps. Measurement: 5mm Wide, 4.5mm Long. Hole approximately 1mm. Antiqued Silver Plated Filigree Spiral Bead Caps 10mm (4)Category: Silver Filigree BeadSilver with an antiqued finish over brass. Bead caps are so versatile! They are perfect for enhancing round beads in any project. These bead caps feature a spiral filigree design. Measurements: Approximately 10mm Diameter, 1mm Hole. 5mm Depth. Quantity: 4 bead caps. 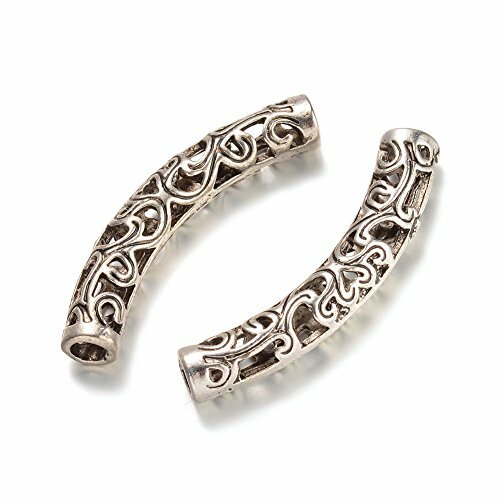 Antiqued Silver Plated Ornate Spacer 8mm Filigree Tube Beads - European Style Large Hole (2)Category: Silver Filigree BeadThis nickel and lead-free item is made of a lovely antique style silver plated brass. 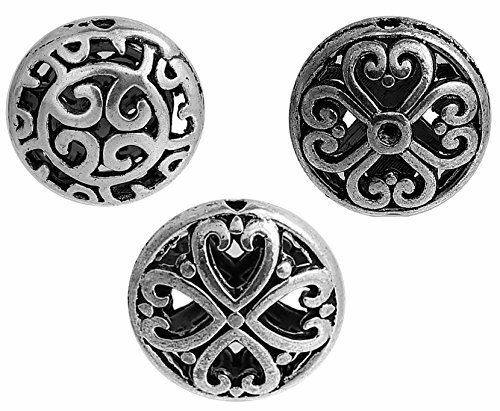 These charming beads are perfect for accenting your work. 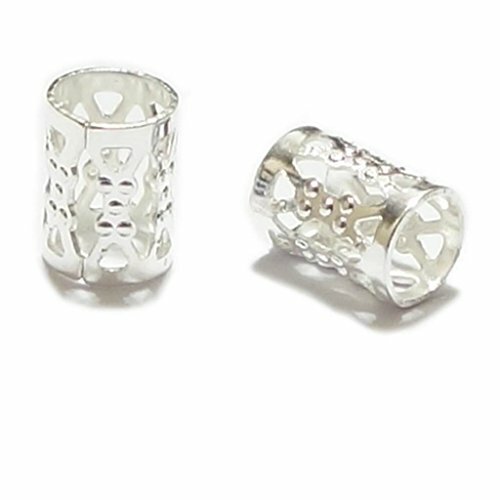 This large hole bead will fit your European style charm bracelet. Also fits Biagi, Chamilia, and Troll chains. Quantity: 2 beads. Measurements: 8mm Long, 6mm Diameter. 5mm Inside Diameter. Note: Please check the measurements to make sure bead will fit over the end of your bracelet. The end of your bracelet should be no larger than 5.8mm.